The extension to CS-Cart and Multi-Vendor allows you to set for each product, a list of available payment methods. 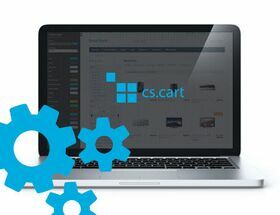 The extension to CS-Cart and Multi-Vendor allows you to set for each product, a list of available payment methods. From a product or category you can edit the available methods of payment. You can also set a limit value of the basket from which there are all methods of payment available. If the sum in the basket is below the set limit, the payment list will be created on the basis of information on products and categories.